The Child Support (Registration and Collection) Act 1988 (Cth) established the Child Support Agency (CSA) as the collector of periodic maintenance. 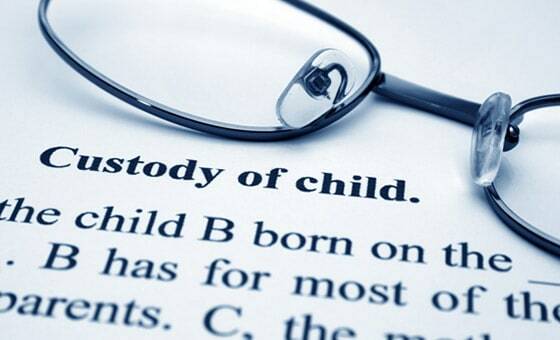 The Child Support (Assessment) Act 1989 (Cth) established a system of administrative assessment of child maintenance liability pursuant to a statutory formula. As well as collecting child support, the CSA may also enforce the payment of unpaid arrears. The CSA’s powers of enforcement include collection of debts by way of automatic deduction from salary or wages and the seizure and sale of property. Additionally, deductions can be made from social security benefits and allowances. Calculate each parent’s ‘adjusted taxable income’ – Certain allowable tax deductions are ignored, for example, rental losses. Deduct a self-support amount from the adjusted taxable income (currently $23,523.00), to arrive at each parents ‘child support income’. Add together each parent’s child support income, to calculate a combined child support income. Calculate what percentage of the combined child support income each parent has (their ‘income percentage’). Calculate (by reference to tables published each financial year in the Australian Government Gazette), the costs of the child(ren), according to the combined child support income of the parents and the ages and number of children. Calculate the care each parent has of the child(ren) (where a parent has 50% of the care of a child, and has 50% of the combined child support income they would not pay any child support). Care means the number of nights each child lives with a parent. Calculate each parent’s ‘cost percentage’ (by reference to a cost percentage table). A parent with less than 14% care (approximately one night per week) has a cost percentage of nil, while a parent with 48-52% care has a cost percentage of 50%. Deduct each parents cost percentage from their income percentage to arrive at a child support percentage. A parent with 28% of the care, and 50% of the combined child support income, will have a child support percentage of 22%. If the cost of the child(ren) in question was $20,000.00, the parent with 28% of care would have to pay to the parent with the other 72% care, $4,400.00 (22% of $20,000.00). Implicit in the calculation is an assumption that children of 12 cost more than children under 12, that costs do not increase after 3 children and that parents do not continue to spend the same percentage to their income on their children as their income increases. The maximum combined parental income used in calculating the costs of children is currently $176,423.00.